A picture-perfect smile isn’t just for celebrities anymore. At La Plata Dental, we offer cosmetic dentistry services that meet the needs, budgets, and lifestyles of our patients. We’ll help you get the smile of your dreams in complete comfort and free from stress. Contact our dedicated dentist and team to schedule a cosmetic dentistry consultation. During this visit, we’ll assess your smile and help you create a personalized treatment plan that will keep you smiling. One of the most popular cosmetic dentistry solutions, porcelain veneers, transform the most flawed teeth into gorgeous smiles. Porcelain veneers allow us to reshape the entire line of the a patient’s smile with one simple treatment. The process is completed over the course of two treatment appointments. During the first visit, we prepare teeth and design the veneers. Once the custom restorations are received from our dental lab, patients return to exchange their temporaries for their final porcelain veneer. Using the quality composite resin material we utilize during tooth-colored filling restoration, direct bonding allows us to correct dental flaws like chips, cracks, stains, and gaps in teeth. The process is completed in a single visit. We apply the putty-like composite directly onto the surfaces of teeth. Then, a curing light is used to harden the material into position. We skillfully shape the treated tooth to fit perfectly into the bite. Then, your smile is polished to a flawless shine. Many of our patients want a brighter smile, and the majority of these patients have tried over the counter whiteners. Where these store bought whitening products fall short, professional teeth whitening can deliver flawless smiles up to ten shades brighter than their natural shade. 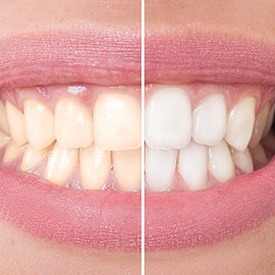 Each teeth whitening plan is customized to meet a patient’s unique needs and directly address the underlying cause of dental discoloration. And we will provide you with custom-made whitening trays for you to keep your smile bright over time. Safe, effective, and predictable, professional teeth whitening significantly enhances the appearance of your teeth. 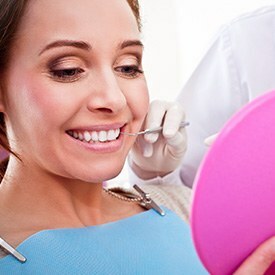 If you want to straighten out your smile or correct a traumatic or damaging bite without metal brackets and wire braces, the La Plata Dental team can help. 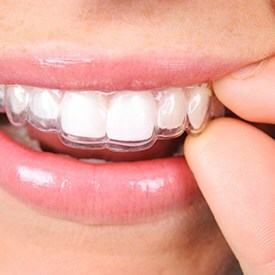 We offer Invisalign clear braces. Using a series of clear, plastic alignment trays, the Invisalign system moves teeth into their ideal position over the course of treatment. No change in diet, oral hygiene, or your professional image necessary. All you will see is a flawless smile from start to finish.